Rounding the corner, it was interesting to see this guy lying face down in the pavement. Heart attack, stroke, mugged, shot...lying in a pile of garbage-looking stuff. Other people walking right past him holding their cups of coffee...not even paying attention to him. 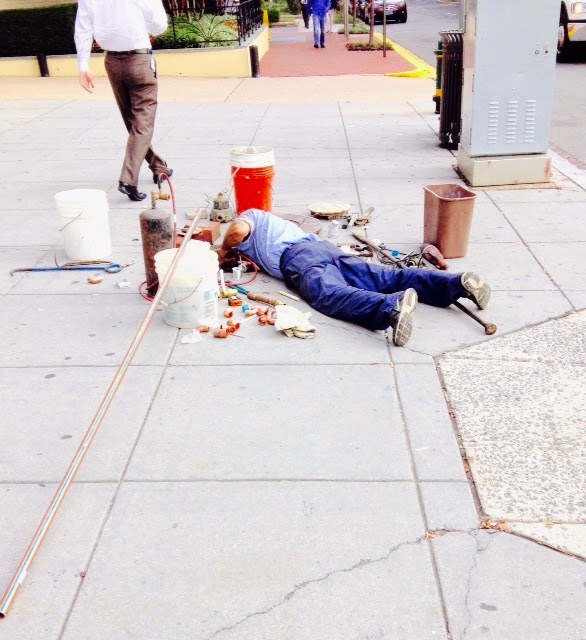 Turned out he's working, and there is an open manhole and he's practically head first. It's All In The Execution, Baby! Don't Worry About It--Yeah Right!